A sizable majority of Americans say that that economy under the Trump administration is flourishing, according to a new CNN poll (pdf) conducted by SSRS, an independent research company. At the same time, President Donald Trump’s approval rating shot up. Another majority, 51 percent, approved of the way Trump has handled the nation’s economy. In the new poll, the president’s approval rating ticked up to 42 percent. The percentage who disapprove of Trump’s job performance was at the lowest number since CNN has polled his presidency. 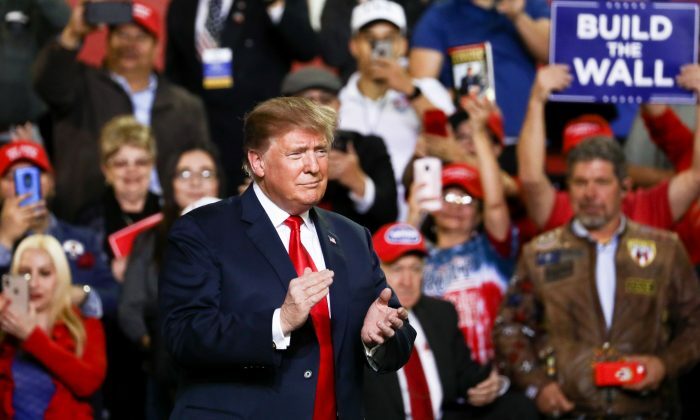 Meanwhile, a daily presidential tracking poll by Rasmussen—the most accurate poll in predicting the 2016 presidential election results—showed that 47 percent of likely U.S. voters approved of Trump’s job performance as of March 19. Other sections were more partisan. When asked to compare their current financial situation to three years ago, 65 percent of Republicans reported an improved financial situation while 19 percent of Democrats said the same. 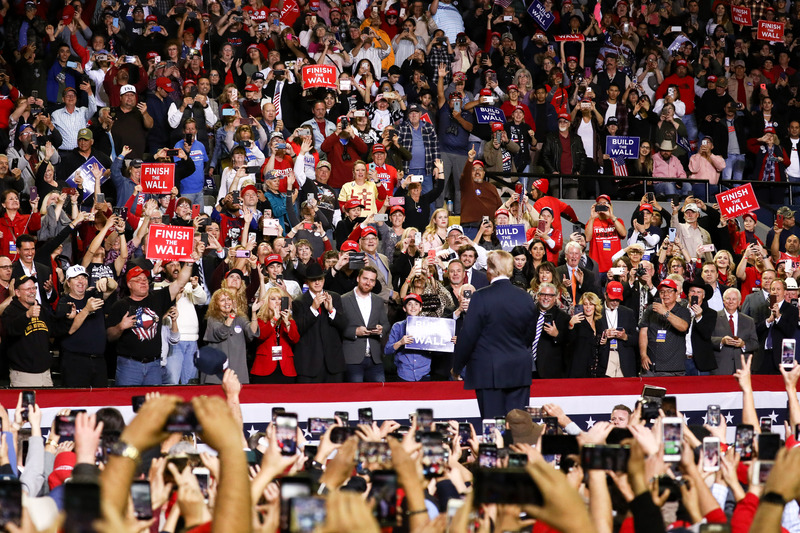 A different poll earlier this month showed Trump’s handling of the economy reached the highest point of approval in his presidency, according to a Gallup poll published on March 5. Polling data revealed that 56 percent of Americans approve of how the president is handling the economy, marking a new high for Trump by Gallup. The percentage was also the highest number out of all the 14 domestic and foreign issues tested in the latest Gallup poll. Not far behind was Trump’s handling of unemployment, where he gained an approval rating of 54 percent. Trump unveiled a new outline for government spending on March 11, titled “A Budget for a Better America: Promises Kept. Taxpayers First.” This will be Trump’s third budget resolution sent to Congress. 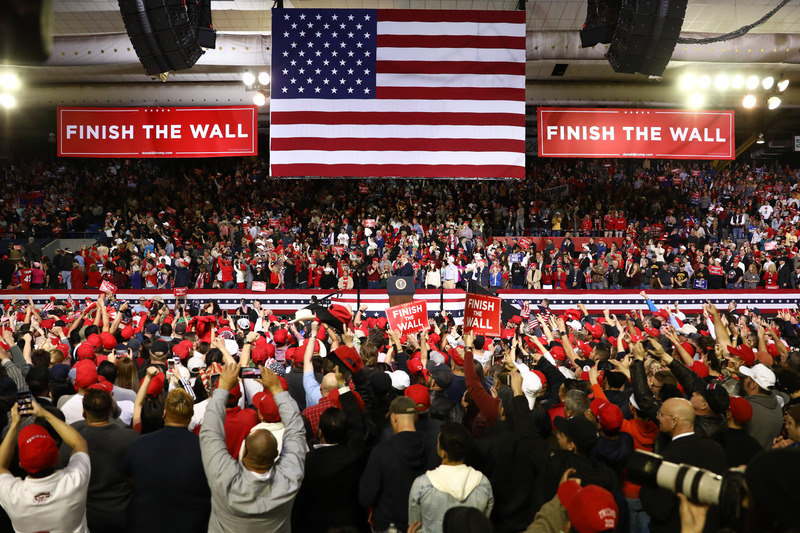 “My 2020 budget builds on the tremendous progress we have made and provides a clear roadmap for the Congress to bring federal spending and debt under control,” Trump said in his proposal. White House economic adviser Larry Kudlow told Fox News in an interview on March 10 that funding for the wall along the U.S.-Mexico border was a major issue for the president. US Economy Defies Global Trend, But for How Long?